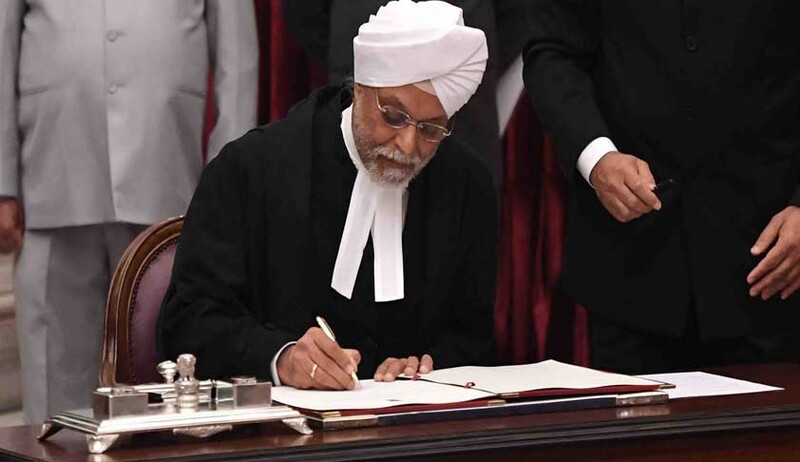 Chief Justice of India JS Khehar’s bench has hinted to pass a detailed order on a plea questioning former Meghalaya High Court Chief Justice Umanath Singh’s suo motu order providing security cover for himself and other judges for post-retirement period. By way of letter, Justice Singh defended his retirement eve order directing the state to provide him 'Z' category security post-retirement, saying he perceived threat to his life from orders he had passed six years ago as a judge of Allahabad High Court. Justice Khehar said the bench would pass the order on Wednesday. Appearing for petitioner Sanjay Laloo, senior advocate Vijay Hansaria raised the objection to Justice Singh’s justification to his judicial order. Recently, Justice Singh had written a letter to the Secretary General of Supreme Court justifying his order. In a similar letter earlier, he had clarified the situation leading to his order for security cover for himself. In the meantime, the Central Security Agency has submitted its report in a sealed cover before the court. A source, privy to the report said ‘Y’ category security-one PSO and a police man - has been deployed at his residence in Noida, UP. Presently, Justice Singh is staying at his residence in Noida. The Meghalaya government told the bench that there is no threat perception to Justice Singh. In his letter, Justice Singh defended his decision in January last year to direct the Meghalaya government to continue providing him 'Z' category security post-retirement. He said as a judge of the Lucknow bench of Allahabad high court in 2010, he had taken a "tough stand" against advocates who brandished weapons while assaulting investigating officers in land grabbing and criminal cases. He also referred to his order directing eviction of violent Jat protesters from railway tracks despite the police being reluctant to do so fearing large-scale violence. He said politicians and caste protagonists too had an axe to grind against him for his 2013 order banning caste rallies in UP, "which caused lots of resentment and aggression in the minds of political parties that largely depend upon caste combinations in the elections". Justice Singh cited another order passed by him as Meghalaya CJ banning bandh calls by proscribed outfits.